Nook Is Available Again, But is it Worth it? After a long wait and gobs of frustration, Barnes & Noble's Nook e-book reader is finally available. Online stock of the $259 e-reader disappeared over the holiday season as consumers sopped up the much-anticipated device that was hailed as strong competition against the current king of the heap, Amazon's Kindle. The Nook is also expected to make a physical appearance at some Barnes and Noble stores by midweek (scope out locations using the Nook in-store locator). But after all the hubbub and hair-pulling, is the Nook worth it? 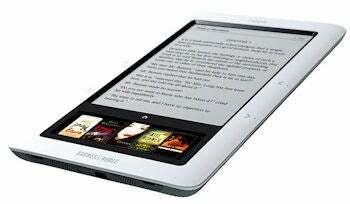 Reviewers smashed the Nook apart when it was first released. David Pogue's now infamous review sent razor sharp shivers down Barnes & Noble's spine as he called it "a mess." PC World's Melissa J. Perenson said, "[The Nook's] current sluggish performance, along with the caveats about the LCD's interaction with the E-Ink screen, can't be ignored." Despite the negativity, the general public, apparently tired of the Kindle's reign and eager for new tech, emptied shelves. But the disappointment continued. Barnes & Noble was forced to hand out $100 gift certificates to Nook buyers who placed orders to be delivered before the holidays and wouldn't receive them until after Christmas. Barnes & Noble released firmware update 1.1.0 in late December, claiming the refresh would solve the two-second page turns (compared to the Kindle's speedy flips) and an LCD that shuffled as slow as a George Romero zombie. But even that didn't appease. Gizmodo called it "no miracle" and asked for "one heck of a firmware update." Slashgear posted a YouTube video illustrating its flaws. Frankly, the e-reader looked broken. The Nook has awesome potential. A recent hack of the Nook's Android operating system unearthed its potential to run Pandora, send MMS, handle speech recognition, and run more apps in the future. Amazon then took a whiff and invited app developers to work on the Kindle. All of these app-centric improvements are reactions to Apple's (also criticized) iPad, which is currently driving a stake through e-reader hearts by inciting publisher rebellion and raising e-book prices. So now it comes down to this: now that you finally can, will you buy an "improved" Nook? Will firmware update 1.2 solve its bundle of problems? Can it withstand the onslaught of future e-readers? Will Apple turn eInk-based devices into a fad? There's a lot working against the Nook right now, but you cannot deny customer demand.